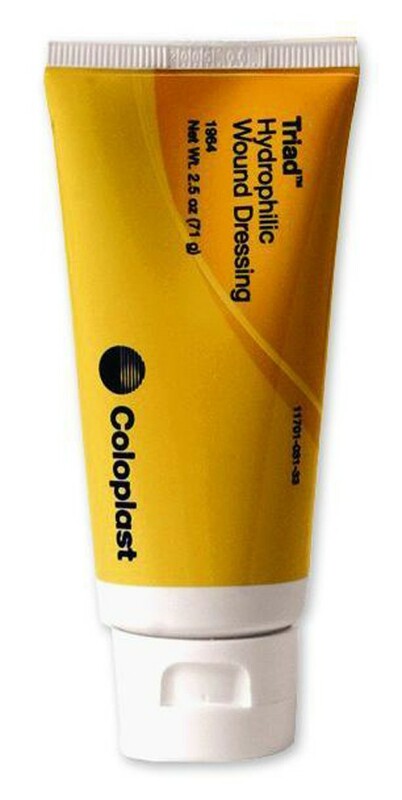 Triad Hydrophilic Wound Dressing, manufactured by Coloplast, is a zinc-oxide based hydrophilic paste for light-to-moderate levels of wound exudates. 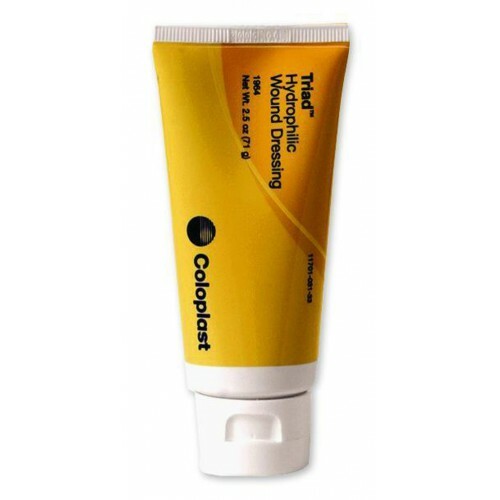 Helping to maintain an optimal wound healing environment to facilitate natural autolytic debridement, the Coloplast Triad Hydrophilic Wound Dressing is an ideal alternative for difficult-to-dress areas and varying wound etiologies. This hydrophilic wound dressing is made with natural rubber latex and is sterile. If you are sensitive to latex and need alternative options, make sure to check out our other Coloplast Wound Dressings, such as Woun'Dress Wound Dressing. Volumes: 2.5 oz and 6 oz. I do not recommend to buy this product. This product does not work at all. We used it once on a bed sore and it made it much worse. The description of this product on your website is false. And what is worse, is that your company will not issue a refund. I will not use this company again. This is a really gentle dressing. I use it all the time.